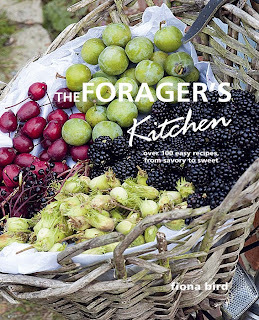 I got this cool copy of The Forager's Kitchen as a birthday present. The book was written by Fiona Bird who was a contestant on the BBC's Masterchef. She has six kids and her husband is an island doctor on one of the Outer Hebrides. We are already tired and we haven't foraged a thing. dig into anything (in both the literal and culinary way) without the proper research. Digging plants is not always legal and digging into a plant whose provenance is not scrupulously documented could be dangerous. So forager beware. just punches up these chocolate pots. 1. Put the Douglas fir sprig and cream into a pan and scald it over a low heat. Do not allow the cream to boil. Set aside for an hour to allow the flavor to infuse and then remove the sprig. 2. Put the chocolate into a food processor and pulse to break it into small pieces. Take care: the machine may need to be held in place. 3. Reheat the cream (do not allow it to boil). Slowly pour the hot cream into the food processor and pulse, ensuring that the chocolate doesn't overflow down the sides of the machine. If you don't chop the chocolate first, it may do this. So slowly does it. OK fine, infuse the cream with rosemary! Grab you little pot of chocolate and snuggle in on the couch and read about being a forager. Of course, you could throw on your muck boots and head out to the wild. Either way, The Forager's Kitchen is a spiffy birthday idea. 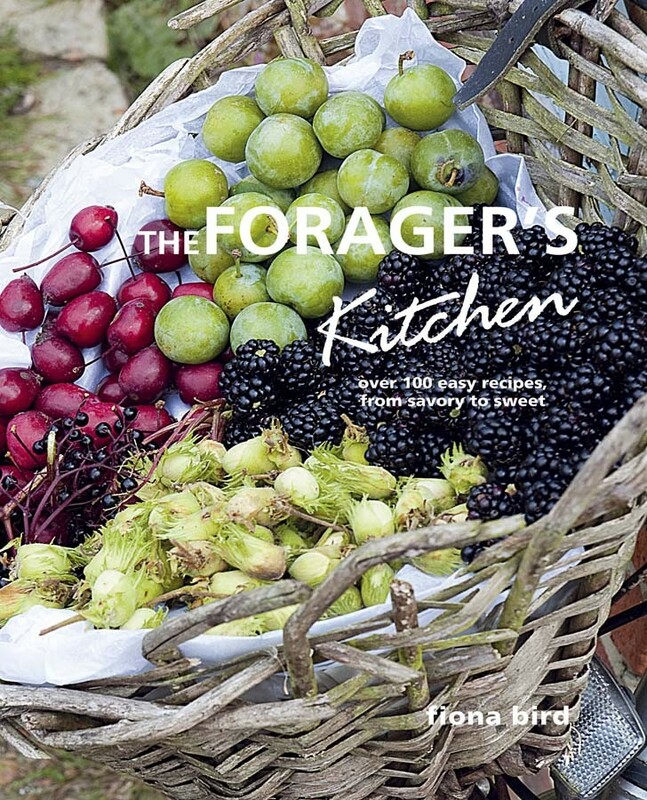 We forgot to tell our readers that one can follow the foraging exploits of Fiona Bird on her blog. On to the hedgerow!